Note: If your phone lock has anti_rollback then please don't try, It can brick you phone! 1. Download the official Xiaomi Mi 6X Fastboot ROM. 2. If the downloaded ROM format is not .tgz then rename it to .tgz format. Then extract it. 2. Download this zip file. Unzip and you will find two files. 3. Copy and Replace these two file in your ROM extracted folder -> images folder. 5. Flash the ROM into your phone with Mi Flash Tool. It takes around 900s to flash. That's it! 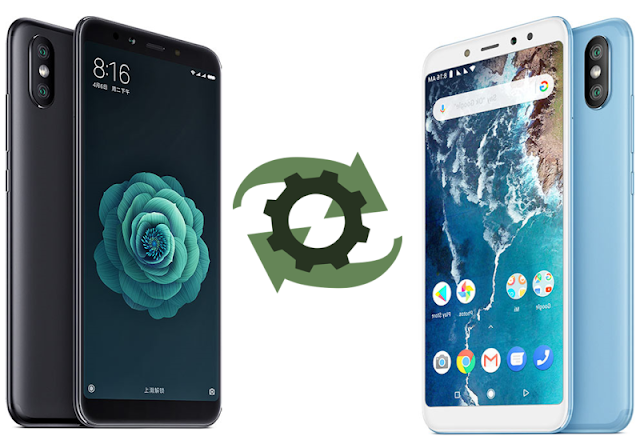 you have successfully switched from your Xiaomi Mi A2 to Xiaomi Mi 6X. Congratulations!